Render Mortar Mix is a single component Portland cement based plaster containing additives for a superior bonding strength. Depending uponapplication, Render Mortar Mix may be sprayed or hand-troweled. The product contains micro-spheres with pozzolanic action making it less permeable and easy to place and finish. 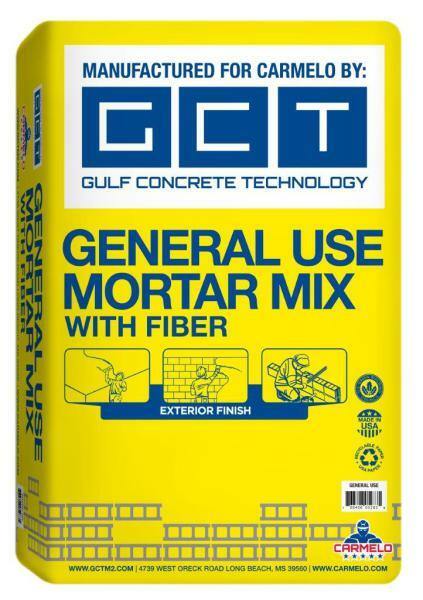 Packaged in 50 lb bags, Render Mortar Mix is simple to use, requiring only addition of water at the jobsite. Render Mortar Mix is a Portland cement based plaster that is in compliance with ASTM C926 requirements for Type C Plaster. Typical compressive strength results obtained with Render Mortar Mix, when tested in accordance with ASTM C109, are as follows: 930 psi (6.4 MPa) at 7 days, 1600 psi (11.0 MPa) at 28 days. YIELD – A 50 lb bag will yield approximately 0.45 ft3 of mixed material. Coverage will be approximately 22 ft2 at 1/4” thickness.